Kristin Hall is a graduate student at Laurentian University. Hall, Kristin. 2008. “Bibliography of Canadian Educational History”. 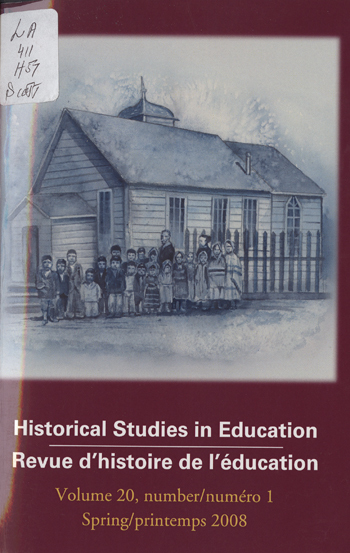 Historical Studies in Education / Revue D’histoire De L’éducation 20 (1), 163-69. https://historicalstudiesineducation.ca/index.php/edu_hse-rhe/article/view/570.